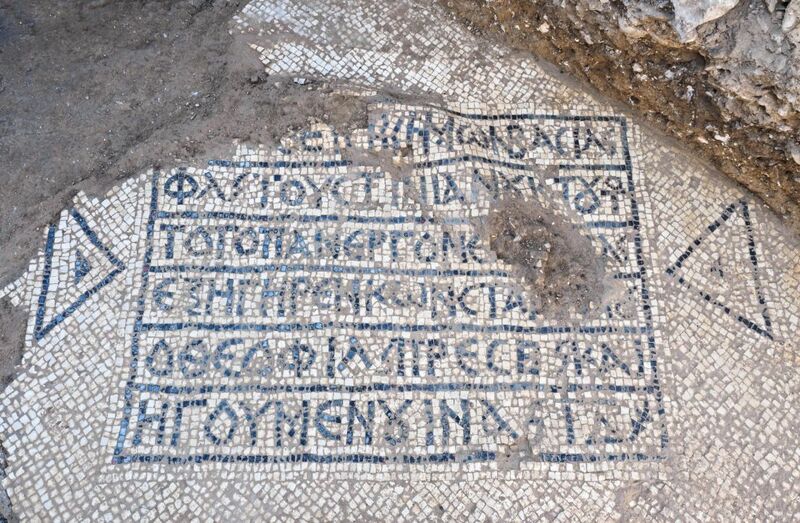 While digging to lay a cable network by the Damascus Gate in Jerusalem's Old City, workers uncovered an intact mosaic with Greek writing on what seems to have been the floor of an ancient version of a boutique hotel 1,500 years ago. 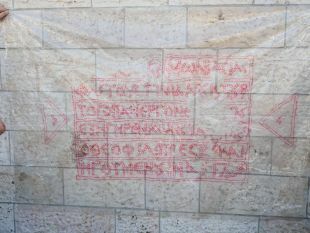 The writing reads: "In the time of our most pious emperor Flavius Justinian, also this entire building Constantine the most God-loving priest and abbot, established and raised, in the 14th indiction," according to Leah Di Segni, of the Hebrew University in Jerusalem, an expert on ancient Greek inscriptions. "'Indiction' is an ancient method of counting years, for taxation purposes. Based on historical sources, the mosaic can be dated to the year 550 or 551 C.E.," Di Segni says. 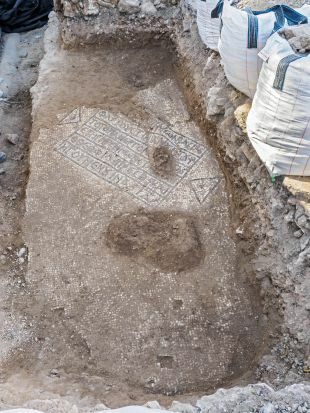 Both she and David Gellman, the director of the excavation on behalf of the Israel Antiquities Authority believe the mosaic decorated the floor of what had probably been a hotel for pilgrims flocking to Jerusalem as Christianity took hold of the Eastern Roman Empire, which became known as the Byzantine Empire. The Nea was the biggest church in Jerusalem and one of the largest in the entire empire, and reportedly included a hospital, monastery and accommodation. Its abbot was Constantine, which explains why he and the emperor were mentioned in the inscription. The Nea Church was considered so important that it even appears on the famous 6th-century mosaic Madaba Map of ancient Jerusalem (in the upper right corner of the city). 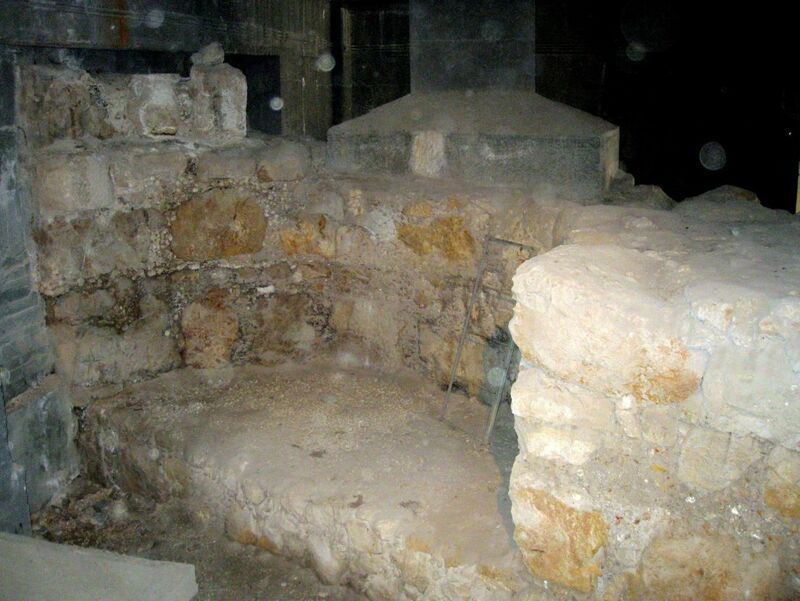 The Nea Church was badly damaged by the Persian invasion of Jerusalem in the year 614. Its remains – at least, the stones that hadn't been repurposed over the ages - were partially excavated in 1970, during archaeological exploration of the ancient Jewish quarter after the Six Day War in 1967. In one sense, finding the extraordinary mosaic by Damascus Gate was little surprise, say the archaeologists. For centuries, Damascus Gate had been the main northern entry point to Jerusalem, so it would naturally brim with archaeological remains, Gellman explains. "In the Byzantine period, with the emergence of Christianity, churches, monasteries and hostels for pilgrims were built in the area north of the gate, and the area became one of the most important and active areas of the city," he says. "The fact that the inscription survived is an archaeological miracle," Gellman adds. The archaeological remains in that area had been severely damaged by infrastructure groundwork over decades, he explains. "We were about to close the excavation when all of a sudden, a corner of the mosaic inscription peeked out between the pipes and cables. Amazingly, it had not been damaged." An inscription previously found in the vaults of the Nea Church also mentions both Constantine and the Emperor Justinian. Justinian would reign from 527 C.E. to 565 C.E., during which time he would become famous for his judicial reforms, many of which seem strikingly modern, including protection for prostitutes, and for wives against extravagant husbands. 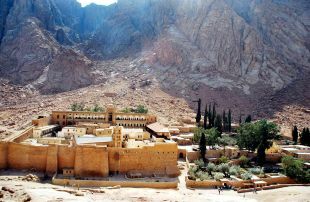 The Nea Church in Jerusalem was far from his only architectural achievement: Justinian is also credited with building Saint Catherine's Monastery in the Sinai, in his very first year of rule, to encompass the chapel of the Burning Bush. Today the site is Greek Orthodox and is a UNESCO World Heritage Site. 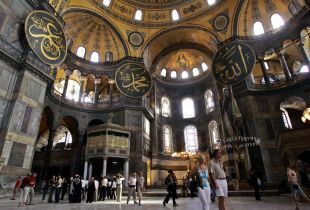 And, Justinian is credited with the erection of the magnificent Hagia Sophia basilica in Istanbul. Built on the ruins of previous churches, the Hagia Sophia would be converted into a mosque in 1453, then into the museum it is today in 1935.